The Futuretronics XBox 360 Universal Remote is the perfect accessory for those that have purchased the standard XBox 360 console or for those that have somehow damaged their original Microsoft XBox 360 remote control beyond repair. Either way, the Futuretronics XBox 360 Universal Remote has a recommended retail price of $29.95 and should definitely be investigated when thinking of purchasing a remote control for this next generation console. The remote comes in the classic XBox 360 grey with a similar button scheme as the official XBox 360 controller and is larger. However a variety of other colours are available that include silver, clear blue, clear red and black. The reason for the size difference is that the Futuretronics third party remote control comes with additional buttons that is ideal for navigating those DVD menus and chapters. The remote control has been ergonomically designed for comfort that comfortably fits in the hand with the buttons being easily accessible. 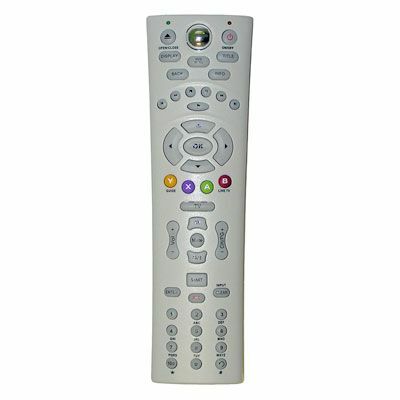 There are a few third party remotes on the market that have rather stiff buttons, however the Futuretronics XBox 360 Universal Remote has clickable buttons that feel sturdy yet easy to push. Installation? What installation, the device automatically works once you have installed the batteries into the device and best of all, the remote control also comes with two batteries, ensuring that you can use the device immediately upon returning home with your purchase. My only gripe with the device is the size, which is a little on the large size as is the official PlayStation 3 remote control but it’s a small price to pay for such a well made item.